With more than 80 years serving commercial customers throughout North Carolina, Cherry Energy understands how important a good partner can be to the success of a business like yours. That’s why Cherry Energy offers reliable, customized support and expertise in a wide range of services that meet the unique needs of your construction, farming, manufacturing or other industrial business. Commercial Fuels – Wholesale fuels and fuel support services ranging from on-road and off-road diesel and blended biodiesel to gasoline, ethanol blends, propane autogas, kerosene and marine blends. Dealer Supply – Let Cherry Energy help you design, build and supply your branded or nonbranded service station. Bulk Transports – Convenient, reliable bulk fueling – any fuel, anytime, anywhere. Motor Oil and Lubricants – Including case goods and drum delivery of the full line of products from Union 76 and Warren. 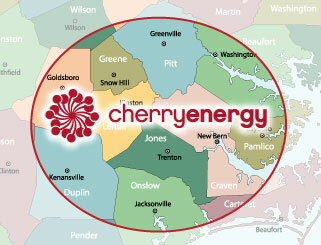 Contact Cherry Energy today to learn how we can help your business or project succeed.